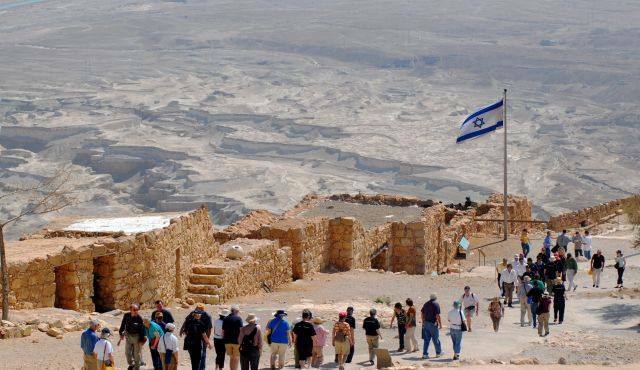 Everyone who has been to Israel remembers their very first experience and the feelings it evoked. Mine was at age thirteen in 1962, when my father took me to Israel to meet his closest relatives, including an emotional reunion with his sister, whom he hadn’t seen since 1937, before the Shoah. We travelled together around the beautiful country, and I fell in love with my family and the land of Israel, and began viewing it as my second home. I suppose, however, that my deep connection to Israel started even earlier, when I was born in September 1948 and my parents named me after the State. Over the years I have returned to Israel many times: as a Zionist camp counselor, social work intern at Hadassah hospital, tourist and family therapy conference attendee, Sar-El volunteer during the Intifada, and Ulpan student. In recent years I have visited annually to do pro-bono teaching in social work and family therapy. Those visits made me feel even more connected to the miracle that is Israel. On one of my recent visits, as I reflected on all of the negative Israel bashing on college campuses and in world forums, I decided to write a book in honor of Israel’s 70th birthday (and mine) that would highlight aspects of Israeli life often overlooked by the media. I reached out and collected stories from Israelis who are involved in exceptional projects in Israel and around the world. These projects exemplify humanistic values such as saving a life, pursuing justice, protecting the environment, building an inclusive society, showing compassion to the poor and the stranger, and loving one’s neighbor. 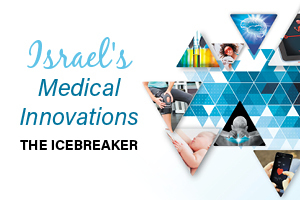 I was impressed to discover how many “humanitarian startups” Israel has that are designed to repair and heal the world. 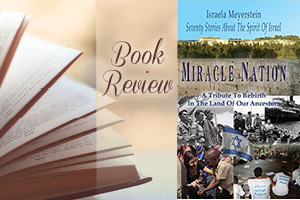 My efforts resulted in Miracle Nation: Seventy Stories about the Spirit of Israel, a new book showing the resilient, creative, caring, can-do, and hopeful spirit of Israel. Intended to teach and inspire teens, college students, and adults, those who already know and love Israel, and those who don’t, the book contains heartwarming stories about efforts to improve the lives of Jews and Arabs, apply technology to third world problems, and seek peaceful co-existence with neighbors. 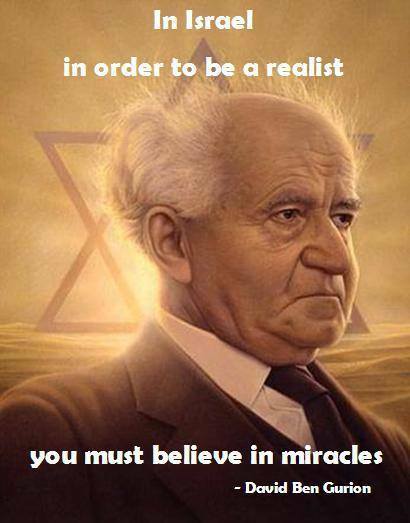 Miracle Nation is all about tikkun olam (repair of the world). Almost every story tells about a person who observed a need in society or faced a difficult challenge, then developed and executed an idea for how to address it through moral action. For example, Leket, Israel’s largest food redistribution center to help the hungry, began with the efforts of one person. In another story, A Good Neighbor Policy to Save Lives, an Israeli Major-General on the Golan Heights witnessed the suffering of wounded Syrian civilians and decided to help by building a field hospital. A young woman working in Africa saw the tremendous poverty there and believed that Israeli technology could help (Here Comes the Sun: Harnessing Israeli Technology to Bring Energy, Water, and Light to the World). Other Israelis created organizations to help in disasters (IsraAid; Humanitarian Help for Strangers Everywhere), or traveled to Asia to teach improved self-sustaining methods of agriculture (Tevel B’Tzedek: Creating a More Just, Compassionate, and Beautiful World). Water Knows No Borders is about Israeli, Jordanian, and Palestinian teenagers meeting for the first time and working together on water solutions for the Dead Sea. Lastly, Special in Uniform: No Soldier Left Behind, shows how including people with disabilities in the army can raise their horizons as well as society’s. All of the stories along with questions following each chapter can be well used in educational settings. Perhaps the stories that touch me the most are those about working to transcend age-old hatreds and distrust and move towards coexistence and collaboration. One story by members of an extraordinary organization consisting of Israelis and Palestinians who have each lost an immediate family member to the conflict, shows their remarkable spirit in coming together to talk as people, listen to each other’s pain, comfort one another, and work collaboratively to promote greater understanding. Another favorite of mine, On the Road to a Richer Zionism: Israel Through Fresh Eyes, is a story about an organization that my son founded: ALLMEP, or Alliance for Middle East Peace. ALLMEP is an umbrella group bringing together and strengthening over 110 coexistence groups already working on the ground towards peace. It shows how one individual’s good idea can lead to much progress and motivate others to get involved. 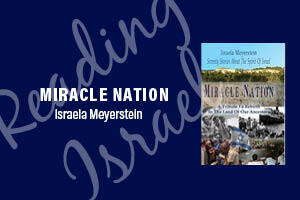 For people who are ill-informed about Israel, reading Miracle Nation might open their eyes. But changing attitudes require visiting and staying informed about Israel, observing some of the coexistence work firsthand and perhaps even getting involved in these causes. As Israel looks toward a bright future and many more years of miracles, I pray that the Torah values and spirit of the law that sustained our ancestors and gave the Jewish people a purpose in the world will continue to inspire tikkun olam efforts and shine brightly in the State of Israel as guidelines that reflect divinity. The faces of Israel are diverse and dynamic. How many sides of our great nation are you connected with? 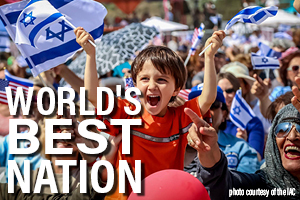 Explore our resources and activities for more great ways to be Israel-inspired! 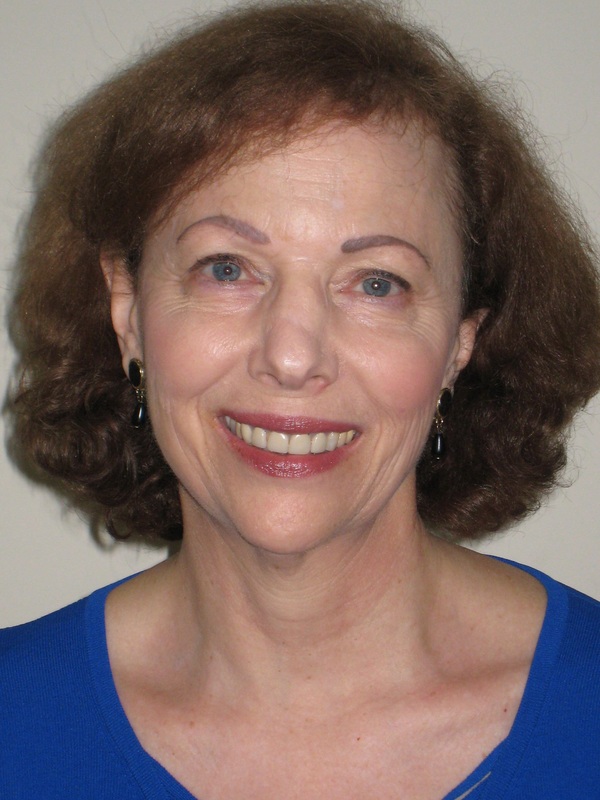 Israela Meyerstein, a social worker and family therapist for 45 years, is the author of Miracle Nation: Seventy Stories about the Spirit of Israel (2018). 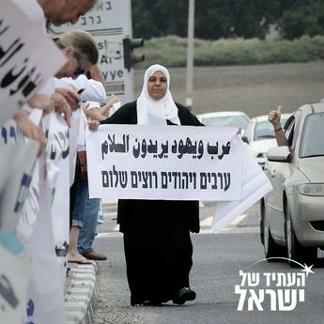 Born in 1948 and named after the State, Israela has always felt deeply connected to Israel. In honor of Israel’s 70th birthday, she wrote Miracle Nation to inspire the next generation, who embrace humanistic values, to learn about and hopefully participate in the tikkun olam work being done in Israel and around the world. Her first book, Bridge to Healing: Finding Strength to Cope with Illness (2014),was translated into Hebrew as Gesher Lemarpeh: Metziat Koach Lehitmoded im Machalah.